Derived from established Chinese herbal formulation, Heritage+E6 Cough & Muco-Relief utilises specially selected pure 100% herbal ingredients. 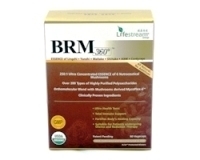 It is effective in stopping cough; resolving mucus and phlegm and relieving breathlessness. It may be used with Heritage® Ginseng & Cordyceps to further nourish and strengthen the lungs, thereby improving and maintaining good respiratory function. Together, they relieve persistant, chronic and wheezing coughs. Both are gentle in nature with no side effects. Ephedra, Zi Su Ye, Bitter Apricot Seed, Platycodon Root, Tendrilleaf Fritillary Bulb, Tangerine Peel, Hogfunnel Root, Pinellia Tuber, Pearl Powder, Menthol, Baikal Skullcap Root. Adult: For treatment, 2 capsules to be taken 3 times a day with warm water. Children under 12 years: 1 capsule to be taken 3 times a day with warm water. 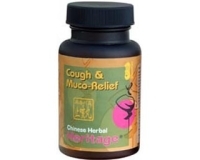 Chinese Herbal Heritage Cough & Muco Relief is manufactured in Singapore according to stringent cGMP protocol and, is registered and approved by Health Sciences Authority, Singapore.